After Jeff Bridges won his first Oscar for Best Actor in Crazy Heart last week, a reporter asked him if the Oscar would help him move beyond the unique persona he had created as the Dude in The Big Lebowski. Bridges said, "Oh, no, I'm still diggin' the Dude." He went on to say that The Big Lebowski didn't do very well at the box office, and only later did it begin to gain its cult status. Like many Coen Bros. films, it took a while for people to get it. Alfred Hitchcock's classic film North by Northwest was like that. It didn't do well at the box office, nor did it get much critical acclaim. It was nominated for three Oscars, but none of the big ones. It lost them all. It lost Art Direction and Cinematography to Ben Hur, and Best Screenplay to Pillow Talk. Yes... it lost to Pillow Talk. Looking back on it 50 years after the fact, North by Northwest is regarded by many as Hitchcock's greatest film, and one that was hugely influential on the mystery/thriller genre. It paved the way for, among other things, the enduring James Bond franchise. Today, the American Film Institute ranks it #55 on the Top 100 Movies of All Time. But how is the Blu-ray? I have great news for collectors. 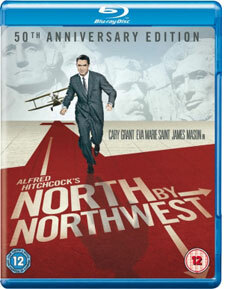 The Blu-ray edition of North by Northwest does full justice to its status as a classic. This movie is simply gorgeous on the screen. It does not look like you are watching a digital reproduction of the film. It looks like the original film. Depth of field is excellent. Dynamic range is terrific, shadow and highlight details are intact. Detail separation in dark scenes is particularly impressive. You don't find yourself staring hard to see what you suspect might be there. Noise level is low, but it has not been sanitized. Nothing looks digitally enhanced or overly processed. 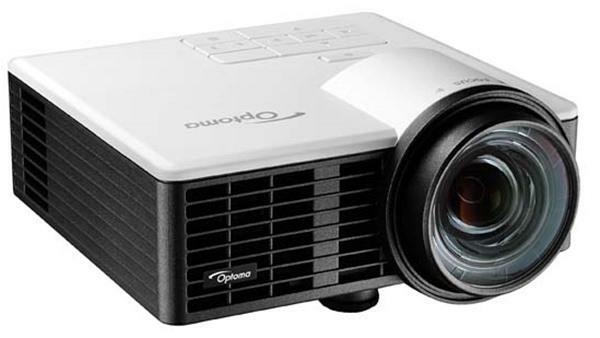 It is, in short, a great viewing experience. The final chase at Mt. Rushmore was a studio set. The Special Features include a commentary by the writer of the screenplay, Ernest Lehman. His folksy reminiscences of writing the screenplay on the fly add valuable insights into how the film was eventually produced. Evidently, Hitchcock had initially planned to film the final chase scene on the faces at Mt. Rushmore, but the US government prohibited the use of the monument for that purpose. This forced Hitchcock and crew to recreate images and elements of Mt. Rushmore at MGM studios. The end result of course was that it looked to audiences like it had been filmed on location, but it is intriguing to see how that was accomplished. The famous (and ludicrous) crop-duster scene in which Cary Grant gets shot at and dusted is a little slice of cinematic history. The scene is preceded by almost eight minutes of just about nothing happening on screen as the tension builds. A random car approaches, passes Grant as he stands at the side of the road, then recedes into the distance. It is fun to see how Hitchcock uses such an inconsequential event to build the tension. Some say only Hitchcock could have pulled off such an audacious stunt as inserting so much dead time into the middle of a film. But it works. I cannot think of a parallel in my own movie viewing experience. 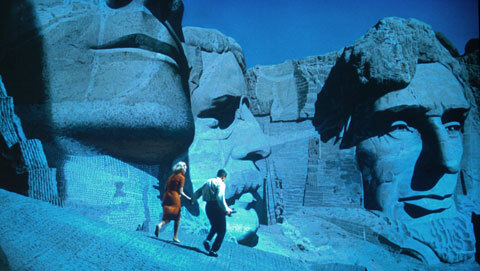 For students of filmmaking, North by Northwest is worth watching just for this sequence alone. Cary Grant in the famous crop-duster scene. By the way, the crop-duster scene was not filmed in Indiana or Illinois as the movie leads one to believe. 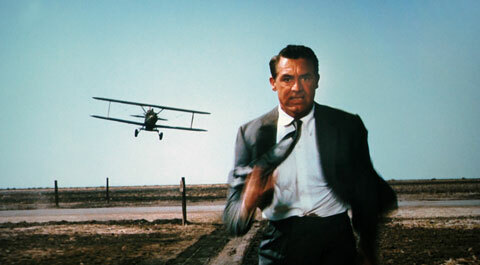 It was filmed about 30 miles north by northwest of Bakersfield, CA, near Wasco, just off Route 46. For the exact location, see James Dean Died Here, a book that documents the actual locale of prominent events in American pop culture, including many famous on-location scenes in film history. If you can't make it out to Wasco any time soon, you can still experience the San Joaquin Valley landscape in all its flat, dusty, infinite glory in the Blu-ray edition of North by Northwest. "It didn't do well at the box office, nor did it get much critical acclaim." Nice to see some love for NXNW, but this is incorrect. Tt actually did fantastic at the box office. It was the 3rd-highest grossing film of 1959. And critical reception was extremely positive. It was Hitchcock's previous film, "Vertigo", that was considered a huge disappointment at the time. Audiences didn't understand it, and critics delighted in mocking it. Conversely, audiences flocked to "North by Northwest". It was seen as Hitchcock getting back to "basics". In fact, NXNW is often cited as the first true summer "blockbuster". I love this Blu-Ray, though. Looks fantastic on my beloved Sharp DT-510. Great review of a great film. I agree especially with observations about the crop dusting sequence - directors today simply weouldn't havd the self control to pull off a sequence like that - with almost nothing happening and no music - but watch that tension build! I just watdched BEN HUR in honor of Eater Week and there are also manhy scenes in that movie that would never get by today, because they demand patience - but that patience builds the characters and the tension - it is not just about "carj crashes", directors of today!